Hormones are naturally occurring chemicals that are used in the regulation and repair of our bodies. Thus they are essential to us. Before we reach our primes, we have plenty of hormones which work as a cohesive unit to maintain balance in various body functions. There is also great signal relay between the hormones which ensures our bodies move like well-oiled machines. As we become older, however, these hormone amounts reduce naturally. As a result, the endocrine system does not respond effectively to the body’s needs. The Human Growth Hormone (HGH) is, by far, the most affected hormone by aging. 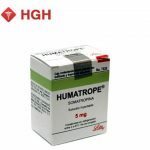 HGH (Human Growth Hormone) is a protein-derived peptide hormone. It is used in stimulating growth plus being actively involved in cell regeneration and reproduction in human beings. Growth Hormone is created, stored, and produced by the anterior pituitary gland. When we are younger, healthy levels of GHRH (growth hormone releasing hormone) are synthesized so that they may signal the pituitary gland to secrete enough Growth Hormone for the sustenance of health, vitality and all other aspects of form and function. GHRH secretion also declines as you age which subsequently causes a reduction in the synthesis and production of HGH thereby resulting in AGHD (Adult Growth Hormone Insufficiency). In addition to aging, high carbohydrate diets, obesity, chronic diseases, and a sedentary lifestyle further facilitate HGH decrease. Typically, boosting HGH levels in the body occurs in either of two ways. 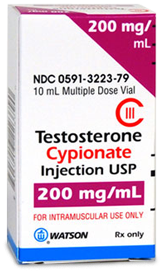 You can either undergo HGH therapy, or you can supplement with a growth hormone-releasing hormone such as Sermorelin. Sermorelin is a synthesized protein that is very similar to your body’s Growth Hormone Releasing Hormone. As we mentioned earlier, GHRH’s role is to trigger the pituitary gland into producing sufficient quantities of Growth Hormone. Thus, Sermorelin is by nature, not an actual growth hormone. Rather, it works towards enhancing your body’s production and secretion of the growth hormone. Because Sermorelin does not replace your body’s synthesis of the growth hormone, you cannot get hooked on Sermorelin medication. In fact, it is quite the contrary because after using the prescribed dose of Sermorelin, your Human Growth Hormone levels should remain spiked for weeks after the dosage. Your growth hormone levels shall inevitably dwindle down back to the previously inadequate levels if you do not make the necessary lifestyle changes that boost HGH production. Remember that Sermorelin is bio-identical to your body’s GHRH and thus it is, in fact, a protein. Hence it cannot be administered orally because your stomach will digest it. Therefore, Sermorelin needs to be injected into the body. The shot is subcutaneous (injected just under the skin), and the protein is administered via a tiny insulin syringe. The shot is given just before you hit your blankets since the most significant growth hormone spike occurs overnight. Sermorelin works towards making this peak higher and longer. 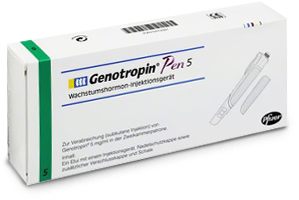 GHRP-6 and GHRP-2 are also growth hormone releasing peptides that can be used with Sermorelin. Their functioning is the same as that of Sermorelin, but these peptides work on different receptors. Using Sermorelin together with the peptides can increase the treatment’s effectiveness. This involves the use of actual HGH to boost its levels within your body. 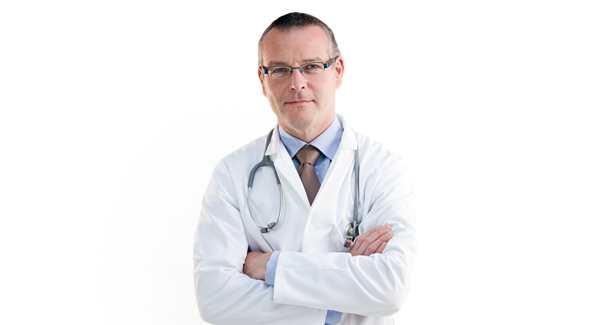 By utilizing HGH therapy, you skip the pituitary gland process. This allows you to enjoy HGH benefits right away and at higher levels. Desired results are realized much faster using this approach. One difference between HGH and Sermorelin is their make-up and function. 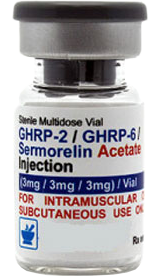 Sermorelin catalyzes your body’s creation of HGH. On the other hand, taking HGH shots halts your system’s production of the hormone. This is because HGH injections supply Growth-Hormone in plenty to the bloodstream thus your body does not need to produce its own. Therefore, HGH shots have a rebound effect because when you stop using, your physiological HGH production shall be meager for weeks as your endocrinal system wakes up from its slumber. Sermorelin, however, does not have a rebound effect. 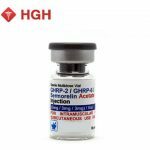 Since Sermorelin does not replace growth hormone production, your natural HGH levels will not be negatively affected when you discontinue Sermorelin therapy. Nonetheless, studies show that the most effective and fastest way to managing the signs and symptoms of the aging process, such as lack of energy, decreased libido, difficulty losing fat or weight gain, diminished mental focus, and weakened immune system is by boosting your Human Growth Hormone levels. In order to have your cake and eat it, you can use HGH and Sermorelin combined. The HGH injection shall provide an instant boost of GH hormones while the Sermorelin shall prompt the pituitary gland to keep secreting your own HGH so that the benefits are sustained over a long time. HGH and Sermorelin combined therapy provides more benefits than either treatment taken by itself.